DO NOT perform any MCM activity during nesting season!! Indiana CRP programs may include CP-33, EQUIP, WHIP, native warm season prairie grasses for upland game bird habitats and more. 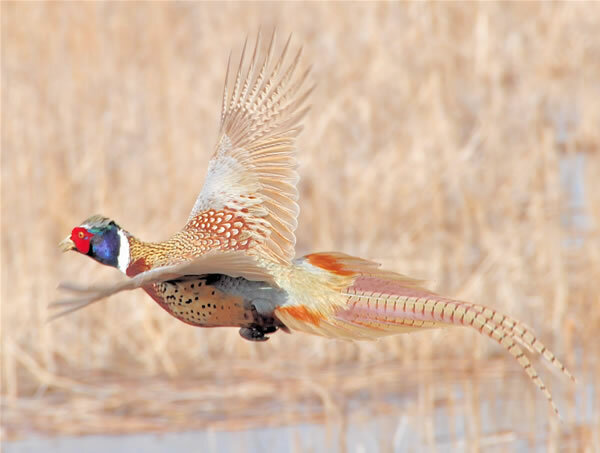 In order to ensure the success of a CRP land conservation program in the State of Indiana, inspections, maintenance and attention are required to manage a healthy ecosystem for plants, and game birds such as northern bobwhite quail and ringneck pheasants. In contacts that include provisions for Mid Contract Management (MCM) it’s important to stay on top of rules and regulations for when, where and how to maintain the set-aside or easement. The USDA and and your local NRCS / FSA office is your best resource for guidance and implementation practices. A top concern, particularly with early establishments of warm season grasses and native prairie is the prevention of weeds such as thistle and other noxious plants. Preventing the spread of these weeds and protecting the area from damage is essential to staying in compliance with the guidelines of your CRP program. Nesting season for bobwhite quail and ringneck pheasant are a critical time to strengthening and preserving populations. In some CRP contacts, provisions for required maintenance occur part way through the contract period. In the State of Indiana, Mid Contract Management Activities (MCM) for 2014 should not be performed during the primary nesting season. All questions should be directed to your local FSA office in your county. According to the Indiana DNR the following are the primary nesting seasons for game birds.